Ever heard those responses to training for climbing before? Maybe it was you saying them? What about these excuses? Was it you or a friend? Maybe you began to wonder if there was a way to fix this? You spotted a route that inspired you, but couldn’t do the moves. Whatever your reason for questioning your current strategy to climbing, perhaps now you are wondering if you should train. I went through this last year after placing nearly dead last (in my mind) at a local bouldering competition. A few months prior I had tweaked pulleys in my both of my ring fingers. Simply “trying harder” had yielded no results. There are a number of training programs available for climbers. There is also considerable debate between devout followers of each of them. Add in the banter from those who believe there is no reason to train and you end up with a soup of mismatched and contradictory flavors, often leaving the observer confused and disenchanted with the entire idea. I will tell you that I used the Anderson’s Rock Climbers Training Manual, and to much success. But beyond that, there have been numerous other benefits to training. Perhaps this can serve as a spoonful of sugar to the aforementioned soup of training discussion. But first ask yourself the question: do you want to improve? 1: An increase in climbing ability by 2 number grades (5.10 to 5.12). 2: Learning how to listen to my body, as far as what helps and what hurts progression. 3: Learning how to warm up properly and prepare for a day of hard climbing. 4: Developed a vision for both near and long-term goals. 6: Ability to visit more locations. 7: Relinquishing fear of the unknown. 8: Being able to jump on climbs with no lines! For what it’s worth, I still can’t compete well. But if you look at “pullin’-on-plastic” as a catalyst to climb those inspiring lines outside, the results will manifest themselves. Further, you have to be smart with it and regimented. Simply “doing what you feel like” will only strengthen your strengths and totally neglect your weaknesses. Are you ready to improve? If you want to change, then something needs to change. I had been stuck at 5.10 for about a year. Try as I may, the progression was not happening. Now after completing my first round of training, I have onsighted 1 5.11a, redpointed 2 5.11a’s, 1 5.11c, worked within reach a 5.12a, and onsighted an alpine 5.10b which felt like 5.11 with the pack weight and thin air! My goals are mostly hard trad, with some sport thrown in for good measure. Crack technique is extremely important to my end-goal, Fallen Arches (5.13a) in Little Cottonwood Canyon, UT. There are two cruxes: a rattly-fingers 5.12 portion and a V6(ish) boulder problem halfway through. To be honest, I want to climb harder because I hate waiting in lines for climbs. The lines drastically disappear the more difficult the route gets! I’m an aerospace engineer. This means that I live in Excel (and love it there). All other benefits of the Rock Climber’s Training Manual aside, the most inspiring part of it was showing me how to track my training and put it in chart format. In the following paragraphs, I will present my current methods with charts. Of course, I’m open to input. Also keep in mind that several of the plots (such as the hangboard) project workouts into the future as things to strive for. Pingora. An odd name. It means high and lofty, inaccessible in Shoshoni. Situated in middle-of-nowhere Wyoming, the Wind Rivers runs diagonally from the southeast corner of the Yellowstone region and extends southeast, terminating a few hours shy of Utah. Desert surrounds this landscape, and approaching certainly gives one the feeling of remoteness. This feeling of remoteness comes to an abrupt halt at the trailhead, where we were met with at least 50 other cars (stories exist of more!). Turns out that not all these cars hold climbers. In fact many are backpackers, day hikers, scout groups, and fishers. Despite the popularity of the Big Sandy Trailhead, the feeling of remoteness quickly kicks back in during the 9 mile hike to Cirque of the Towers. Cliffs become taller and steeper. The trail becomes more rugged. The squeals of pikas and borough-homes of marmots speckle the trail. Then about two miles out, you get your first glimpse of Pingora. First view of Pingora above North Lake. I had my first internship in Utah in 2009. 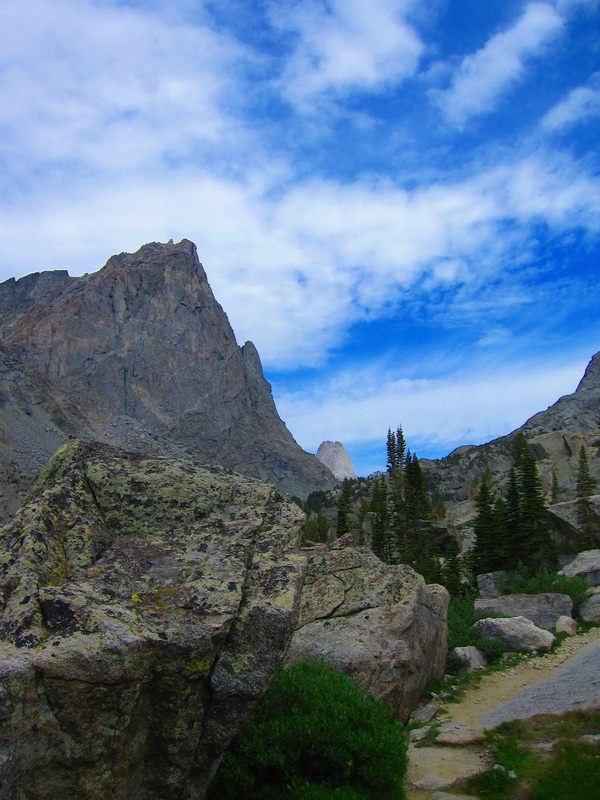 I picked up the local climbing guidebooks, and Lone Peak Cirque jumped out as a location worth getting to. Four years later, and I finally made the trudge up and climbed the amazing summit wall. Lone Peak is the skyline of Salt Lake City. As a result, it is also the lightning rod of the valley. While not the highest of peaks on the Wasatch Range (11,253 feet), it is certainly one of the most commanding with an impressive summit, exposed on three out of four sides. 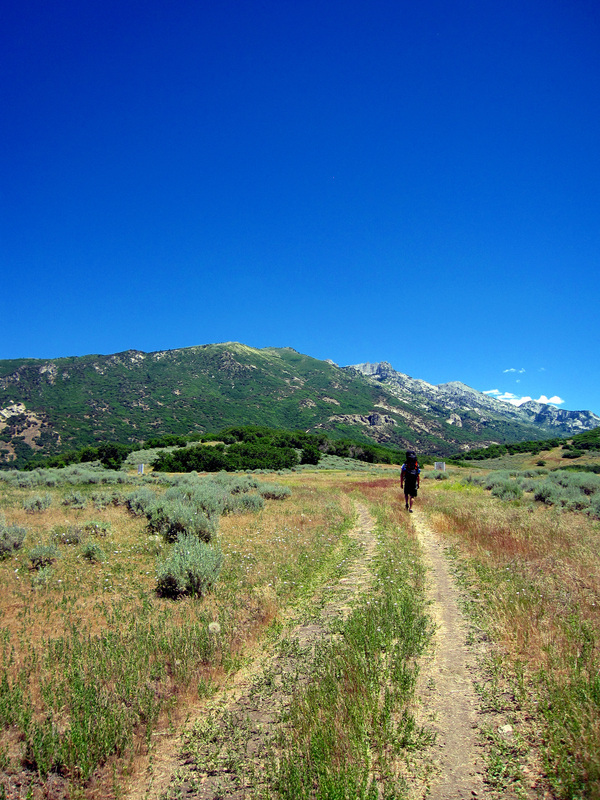 I met up with Ken on Thursday near Ogden at 10:30AM. He had worked half a day. Due to my ill-preparation, I had taken all of Thursday off to finish packing. We had decided to take our chances and not bring a tent. If it rained, we weren’t going to climb anyway, so it seemed to be extra weight. My final pack weight (with three liters of water, climbing gear, and enough food for two days) ended up being 53 pounds, about 5 pounds lighter that I had calculated using my spreadsheet! The climbing gear weighed a total of 30 pounds, which we split evenly. We left my car at Ken’s parents’ place and were shuttled to the parking lot. 12:30PM start. The forecast had called for near record heat, peaking out around 100°F by 3PM. The first 1.5 miles gained just a few hundred feet of elevation and went fairly coolly, as far as the temperature was concerned. Then we started the Jacob’s Ladder trail. An aerospace engineer that enjoys spending as much time outside as possible!